Mary Elizabeth needs YOUR help to take her first steps. 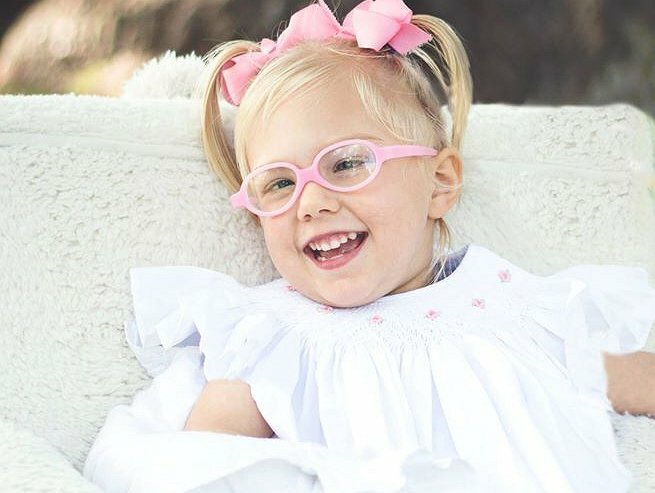 At just 12 weeks old Mary Elizabeth was diagnosed with Cerebral Palsy, a condition that left her with little to no mobility. As you can imagine, news like this was overwhelming for the family. Life for the Washington family would change forever. Already having 1 child, they had to make many life altering adjustments to provide care for Mary Elizabeth. The emotional toll was extensive. In 2014, Sarah, Mary Elizabeth’s mother, stumbled across a support group that would change her life forever. This group is filled with members that share a very similar story and is filled with people that can relate to a lot of the hardship and stresses the family was going through. I (although on an entirely different path) stumbled across this same group. I’m a perfectly healthy, capable, father to 3 young boys, but I was looking to create a bigger impact and provide support with meaning. motivation to continue to push forward during the most trying of times. Mary Elizabeth lets me know how her “training” sessions are going so we can cheer each other on. She cheers for me at every race and she knows I’m cheering her on from afar. We keep in touch often and every once in a while during a FaceTime session that little girl will giggle at the sound of my voice. Because of this journey, I have learned more life lessons in this short period of time than what I ever thought possible. She has changed me for the greater good. I’m more kind, I give more, I love more, and I take way less for granted. She pushes me to be a better version of me every day. When I first started, I was timid to run my first 5k road race. Today, I am signed up to run my first marathon for her. A feat that was once only a dream. The intent of this fundraiser is to give Mary Elizabeth the opportunity to RUN across the finish line with me, as buddies! JOIN ME and together we can provide this opportunity for her. Mary Elizabeth has an intense workout of 2 to 3 hours of traditional therapy per day. There are also alternative therapies that are available to her and new cutting edge technologies that she could greatly benefit from, but all at a high cost. A cost you can help with! Most of these expenses are not covered by insurance. This is where we come in. With your generosity, love, and support, the financial contributions will create the opportunities she needs to RUN across that finish with me! Together we can make this happen! *Donors can be sure that funds donated will be used only to pay or reimburse medically-related expenses. To make a tax-deductible donation to this fundraising campaign, click on the Donate Now button. Check out the video! This video is of a song I wrote for Mary Elizabeth. We had the opportunity to meet this past summer in New York at one of her therapy conferences! An experience I’ll never forget! Please note: I’m not a song writer. This is actually the first song I’ve ever written. But I love to write. I’ve always been afraid to write for fear of not being good enough. This little girl continues to push me outside my comfort zone and do the things I’ve always wanted. this song is just one example of that. I hope you enjoy!